There is no denying that social media marketing has become an effective and crucial part of the digital marketing platforms. According to the reports, it has been known that 66% of the marketers spend at least 6 hours on different social media platforms. Social media delivers measurable results in terms of leads, sales and branding. It enables businesses and brands to reach a large number of audiences all around the world. Social media started as a tool for entertainment and how it has emerged as a powerful marketing tool. It plays a vital role in connecting businesses with the customers. 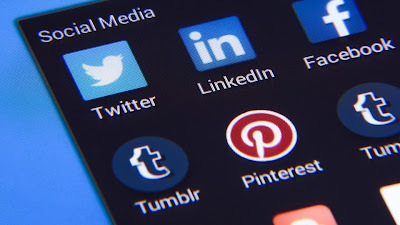 Using the different social media marketing channels can improve the ranking of your website, drive a massive amount of traffic and connect you to your potential customers. If you want to harness the great power of social media, social media marketing reseller programs are the right thing for you. It can difficult for the social media marketing professionals to manage different social media accounts altogether. Hence, there comes the need of reseller programs that will provide you with all the necessary tools that can help you manage your various social media accounts. In the social media reseller programs offered by SocialXpand, the resellers or marketing professionals will be given all the necessary tools they need to become social media expert. SocialXpand is a leading company offering social media marketing reseller programs. The reseller programs offered by SocialXpand contain all the necessary tools that will help resellers keep a finger on the pulse of their social media accounts. Social Media Management- The social media management tool lets you generate new customers with the help of appealing and shareable social media content. Reputation Monitor- With the help of the reputation monitor tool, the resellers can manage the online reputation of their clients by continuously monitoring and responding to customer feedback. Social Contests- By generating social contests, you can amplify your social media marketing strategies with powerful sweepstakes and email list building. Social Analytics- The resellers will get comprehensive analytic reports across all social media channels, sweepstakes and deals. Social Shopping carts- If your clients have several products to sell, you can create social shopping carts that will help your clients to sell their products on social media. Social Deals- Generating social deals will generate new and returning customers. The best thing about social media reseller programs offered by SocialXpand is, they are offered at a flat monthly fee. The resellers can set the plans and prices according to their own and keep 100% of the sales in their own pocket. These programs are beneficial in managing the online reputation of the businesses, growing audience and tracking your results on the go. The resellers will be provided engaging content according to their industry needs and deals that will help them grow their customers. Visit Today for more information! Those were some of the impressive features of social media marketing reseller programs offered by SocialXpand. If you want to manage different social media accounts for your clients, social media reseller programs are the right thing for you. To discuss more details about these programs, feel free to visit- https://socialxpand.com/. 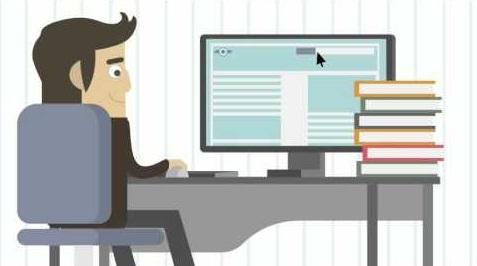 Are you looking for ways to enhance the presence of your business online? Do you wish to generate more sales, more leads and hence more business? Well, the answer to all these questions lies in social media marketing reseller programs. If you are an Internet junkie, you would be aware of the great importance of the social media and the role it plays in enhancing the reach of your business. Social media platforms have become an effective tool in increasing the extent of the businesses; boosting the sales and making your business reach the hands of the prospective customers sitting in the remotest corner of the world. How Useful are Social Media Reseller Programs? If you are planning to try your hands on social media reseller programs, try SocialXpand. It is a leading company offering social media reseller programs loaded with the top-notch features that can help your business get the results you are aiming for. Social media reseller programs offered by SocialXpand lets you reap the profits and keep 100% of the sales in your pocket. If you are wondering how socialXpand can prove useful to you, here are the details you need to know about it. The social media marketing professionals will get a branded website which will be set up on their own domain. The website will list all the services provided by you as well as assessment requests, plans, pricing, client logins and much more. The social software will let you manage weeks work in advance. This software also lets you monitor the reputation of the businesses; create giveaways, sweepstakes and social deals. The social media marketing professionals will also get pre-designed marketing material that they can use with their prospective businesses. Add to that, you will also get other materials such as business assessments, tips and much more. The client portal will let you control what your clients in view in the client portals. It will help you view everything from analytics to managing online reputation. The social media marketing resellers will be provided ongoing training over phone, email and webinar support. They will also be given access to tons of online tutorials and training documents. The reseller programs offered by SocialXpand are offered at a flat monthly fee. The resellers would require spending a little amount of money and they will be provided everything they need to hit the ground at a flat monthly reseller fee. The resellers can set their own plans and prices and keep 100% of the sales in their own pocket. They can charge their customers whatever they like. Those were some of the impressive features of social media marketing reseller programs offered by SocialXpand. If you want to take advantage of all the features mentioned above, get in touch with the social media marketing experts at SocialXpand. You can discuss your needs with them and they will offer you solutions that would go a long way in meeting your requirements. To get more information about Social media Marketing Reseller programs offered by SocialXpand, feel free to visit the website- SocialXpand or call at- 917-818-4550.